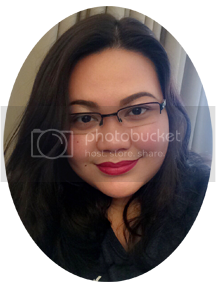 My husband and I always agreed that the best way to relax is to temporarily getaway from all the stress of work and the hustle and bustle of the busy city. It was our 7th year wedding anniversary and the finest gift we can give to ourselves is to relax. Since we cannot go out-of-country because of work and budget as well, we only planned to stay in a nearby hotel. It took us couple of days to decide in which hotel we should stay for couple of days. We ended up with two choices. Both hotels are pretty nice but the one that we didn't choose was too far from the city. 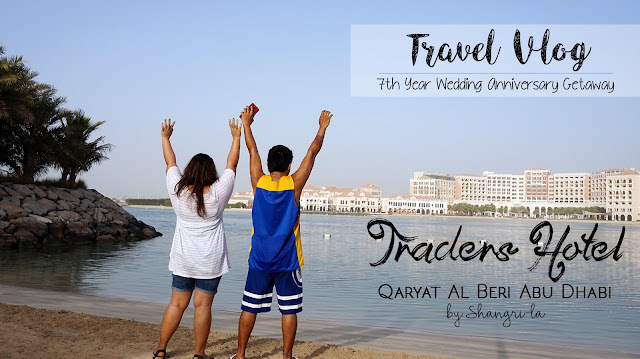 We decided to stay in Traders Hotel, Qaryat Al Beri, Abu Dhabi because aside from the good location which is just about right distance away from the city, we find it quite affordable in Booking.com. The price we got includes the breakfast for two. I read good reviews which is one of our deciding factors as well. We booked at Traders Hotel, Qaryat Al Beri, Abu Dhabi and I called their reservation department to confirm our booking. I also reiterate the request that I've also noted in Booking.com. I asked the reservation staff if we can check-in at least an hour earlier and for a late check-out as well. I also clearly asked for non-smoking area. I informed the staff that it is our anniversary so I'm hoping for a favorable response for my request. He told me that he will put it on note and that they will do their best to comply with my request. OK we are a little too excited that we came an hour and half earlier from the usual check-in time. The front desk attendant, Ms. Jessica, politely assisted during our check-in. She was very accommodating and very professional. She even greeted us for our anniversary. Although we were there very early, Ms. Jessica did our check-in procedure. We were so happy that we can start to relax early as well. Here are some photos inside our room. Here is the afternoon view just outside our room balcony. Night view from our balcony. Complimentary roses and fruits delivered to us few minutes after we check-in to our room. Here are some photos taken from the beach front area. I can stay here until the sun rises again. It was indeed a memorable hotel stay for both of us. The staff and the facilities of Traders Hotel are exceptional. Although the pool is a little small, especially if there are many kids swimming around, anyhow, we still manage to enjoy our swimming time. The ambiance is perfect for relaxation, the food is superb and everything else just took our breath away. I was just a little disappointed because the abra (boat) was not available then. It was closed for maintenance. I was really looking forward in experiencing that boat ride but unfortunately we were not able to do so. Hopefully next time ;) Otherwise, we still loved our stroll along the beach side from The Souk. Ms. Karen, Ms. Shuweta and Ms. Renata assisted us during our check out and they were all very friendly. They asked how was our stay and had a few chitchat if we enjoyed our anniversary stay there. I said that we are very happy and sad at the same time because we have to leave. Anyhow, it was great memories to keep and we hope for another staycation experience with them. Looking forward to our next adventure here! Lastly, Thank you so much Traders Hotel for making our anniversary celebration really memorable. spending with you is indeed the best. that God has blessed me more than I deserve. I love you to infinity and beyond."